The latest reading of 58, up 2 from last month's number, came in slightly above Investing.com forecast of 57. 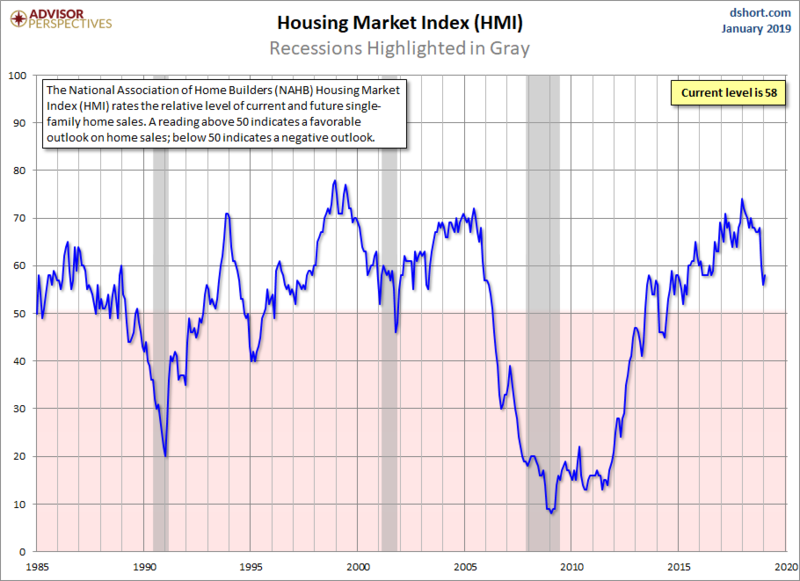 The HMI correlates fairly closely with broad measures of consumer confidence. 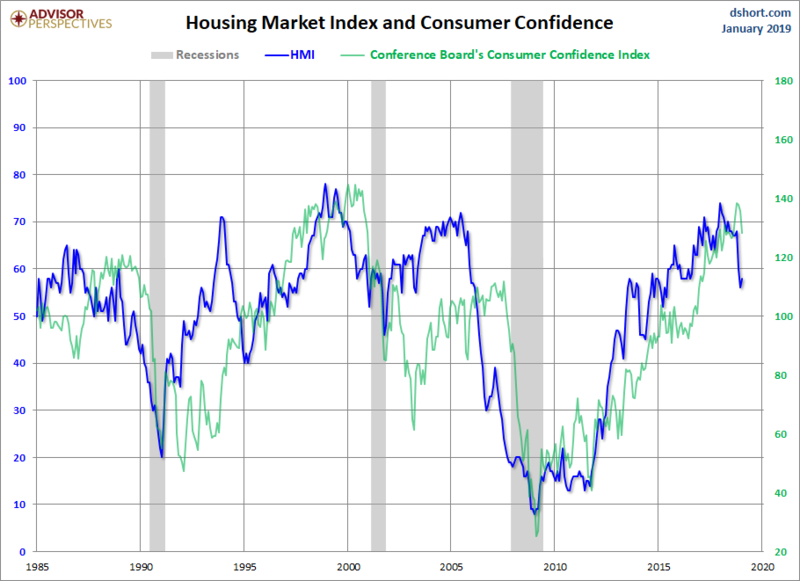 Here is a pair of overlays with the Michigan Consumer Sentiment Index (through the previous month) and the Conference Board's Consumer Confidence Index. Note Michigan Sentiment's figure has not yet been released for January.